Instead of ruing her lot as an outsider, she embraced it. And by doing so, in just a few years Palin has outmaneuvered, even leapfrogged her Professor Higgins, John McCain. So, regardless of her decision about a presidential run, Palin has positioned herself as the kingmaker of conservative politics. Palin speaks at rally How did she do it? Perhaps by sheer shrewdness or sheer luck, Palin spotted an opportunity early on with a growing chorus of other self-proclaimed outsiders, the tea party, and seized on it. 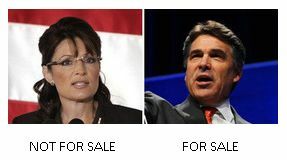 Now, while the Republican straw polls, caucuses and debates play out, Palin simply orbits around it all, eclipsing her show's extras, the supposed front-runners. In fact, it can be argued that some of the front-runners ascended to their current positions because Sarah Palin helped them get there. She was already accomplished long before McCain chose her. They said it but Palin is using it to write her own script and lyrics in just what might turn out to be the presidential campaign of the future. I'm probably just seeing what I want to see (because I like Sarah) but I have a suspicion that Palin is running a very deliberate campaign, the first really 21st century campaign. I think she understands old media and new media. I think she is operating within her opponents' decision cycle. I think she knows who John Boyd is. Perhaps by sheer shrewdness or sheer luck, Palin spotted an opportunity early on with a growing chorus of other self-proclaimed outsiders, the tea party, and seized on it. Or, and this is just a crazy idea here, she believes what she says and instead of it being an opportunity seized, it was an honest expression of her beliefs. Every time I read an article written by a liberal media-head, I come away with the conclusion that these people know virtually nothing about conservatism or the Tea Party. Lemon is no different. 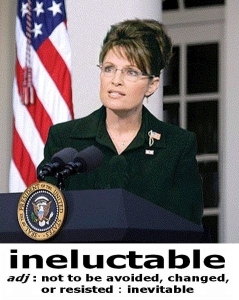 He thinks to himself and wonders how all this (Palin, Tea Party, etc.) could happen. No clue does he have. However Lemon owed Palin for the Iowa time she gave him....he did okay by her considering it’s for CNN. I come away with the conclusion that these people know virtually nothing about conservatism or the Tea Party. I say this to Liberals all the time. I know their position. I know their justification of their position. Oppose the war on terrorism? Support abortion? Support homosexual marriage? Support minimum wage? High taxes for the rich? I've heard it all, and I can make those arguments just as well as my opponents -- but I don't agree with the arguments. My side? Do they understand my side? No. That a chance. Based on my conversations with Liberals here in MA, the Republican platform is summed up this way: Force people to be Christian, kill homosexuals, bring back slavery, let the rich own everything. And you cannot discuss these things. They don't want to hear how we might try to justify our heinous policies. I share your opinion and your bias. He thinks the Tea Partiers are “outsiders”, we are sure we are the “silent majority.” May they continue to underestimate us all until after the election. Will be so delightful to watch their heads explodes! I remember Don Lemon interviewed Palin in Iowa last month. He wnet in thinking she was going to trash him (i.e. lamestream). But she treated him very cordially. He then went live on CNN and gave Palin a fawning profile, saying “she answered every one of my questions, Wolf” and was “very personable and sharp.” Then he tore into Bachmann for having her body guards trample him. I think he may be a secret Palinista. The take away from anyone that has covered her more than a sound bite or two is that she is Real....course that’s because she is.....! My son, a liberal who is still defending Obama, read the article in the NYT that praised Sarah (to their own stated amazement) and my son said that Sarah is right and he agrees with her. This is really quite incredible. However, he thinks that since the Giffords shooting that she has no chance - of course on this I disagree. Sarah changing the mind of my son - not to mention the NYT - is stunning to me. ...instead of it being an opportunity seized, it was an honest expression of her beliefs. Pundits are incapable of comprehending such a concept.